Canisius refused to wilt against one of the hottest teams in the Metro Atlantic Athletic Conference. Takal Molson scored a game-high 18 points and the Golden Griffins maintained a double-digit lead for much of the second half to close out a decisive 80-66 victory against Monmouth on Thursday at the Koessler Athletic Center, snapping the Hawks’ four-game winning streak and extending their own run to a season-high three consecutive victories. 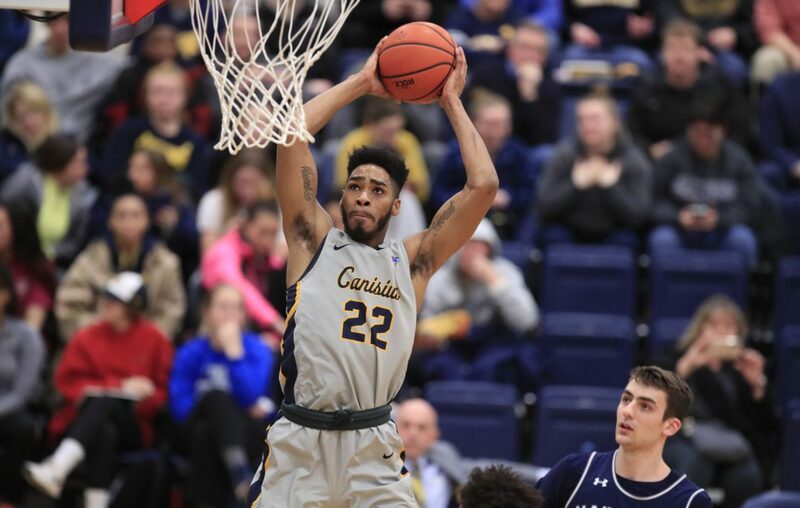 Canisius rallied from a six-point first-half deficit to knot the score at 32-32 at halftime, then opened the second half on an 8-2 run and never trailed again, pushing its lead to as large as 18 points with about eight minutes remaining. The triumph moved Canisius (8-11 overall, 5-2 MAAC) into second place in the conference standings, behind Rider (10-7, 5-0). The Broncs have won five consecutive games, including an 82-73 victory against Canisius on Jan. 11 in Buffalo, when the Griffs led by as many as 14 points but couldn’t hang on for the win. Canisius moves a half-game ahead of Monmouth (6-15, 5-3), which dropped to 2-9 on the road this season, and Iona (6-11, 4-2) in the conference standings. “Coach has preached in practice just being poised, knowing when to go, when not to go, and just taking control of the game, playing how we want to play,” Molson said after shooting 7 of 11 from the field and adding five rebounds. Jonathan Sanks had 14 points and five rebounds. Isaiah Reese had 11 points, five boards and a team-high seven assists to five turnovers. Scott Hitchon also scored 11 points. The Griffs finished with 21 assists on 29 field goals while shooting 59.2 percent from the field and 52.4 percent from 3-point range. Ray Salnave and Deion Hammond paced Monmouth with 14 points apiece. The Hawks struggled from the field, shooting just 37.5 percent overall and 22.2 percent from long range. "I don't feel good that we got whupped like we did," Monmouth coach King Rice said, "but Canisius can do that to you." Canisius travels to face rival Niagara (9-11, 2-5) on Wednesday.